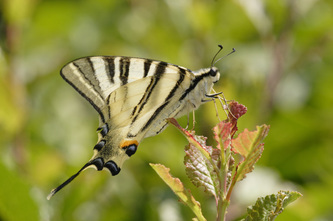 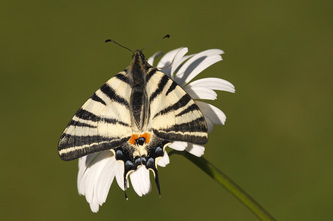 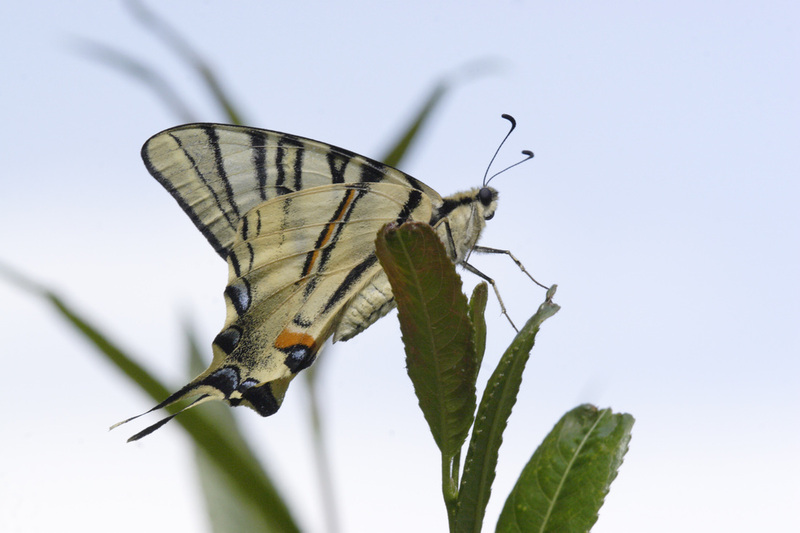 The ground colour of the wings ranges from almost white to pale yellow. 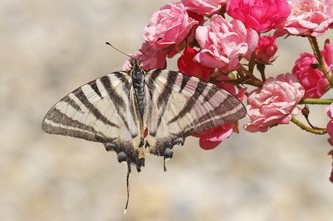 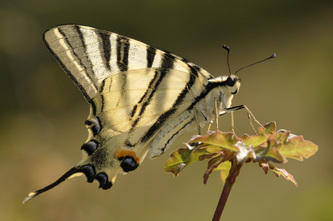 The forweing has six proment black stripes, visible on both surfaces; the inner margin of the hindwing normally has a bread black border, and blue markings on the hindwing form distinct crescents. 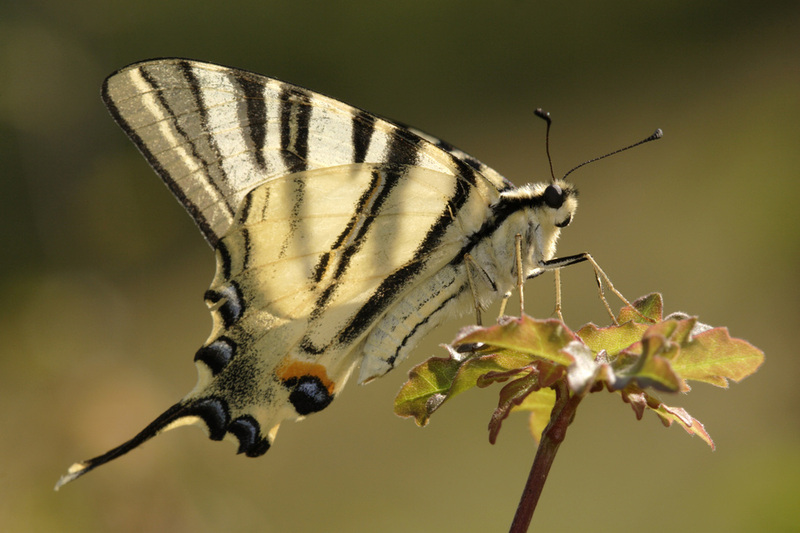 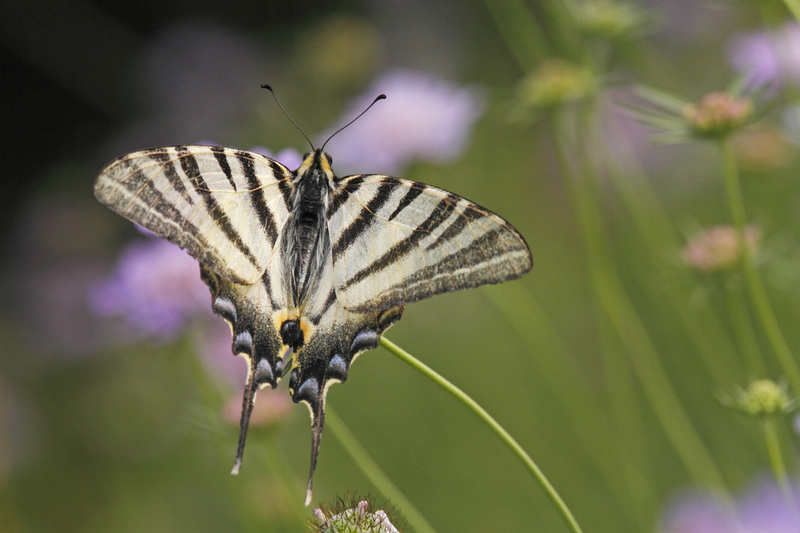 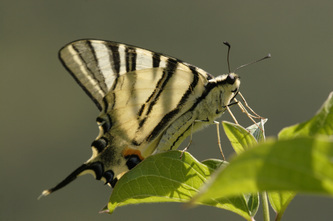 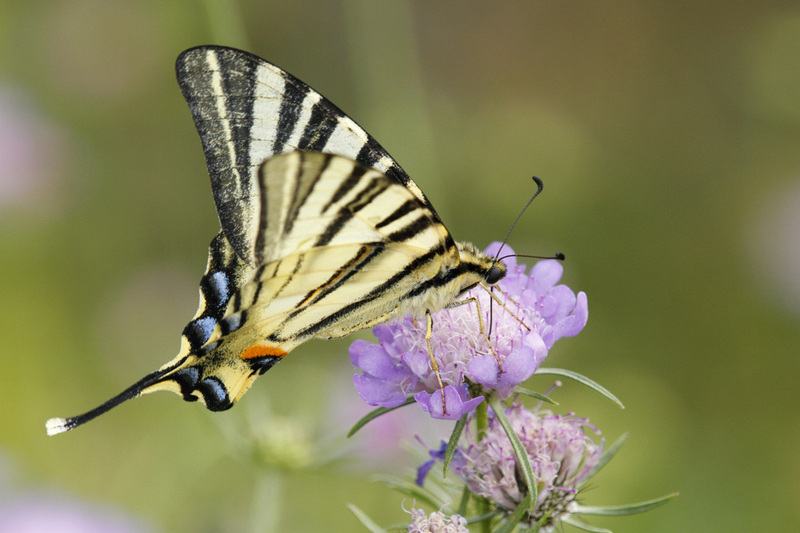 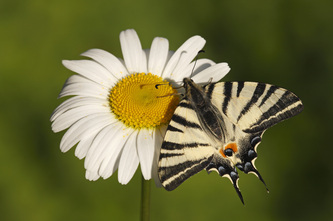 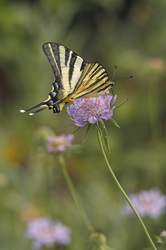 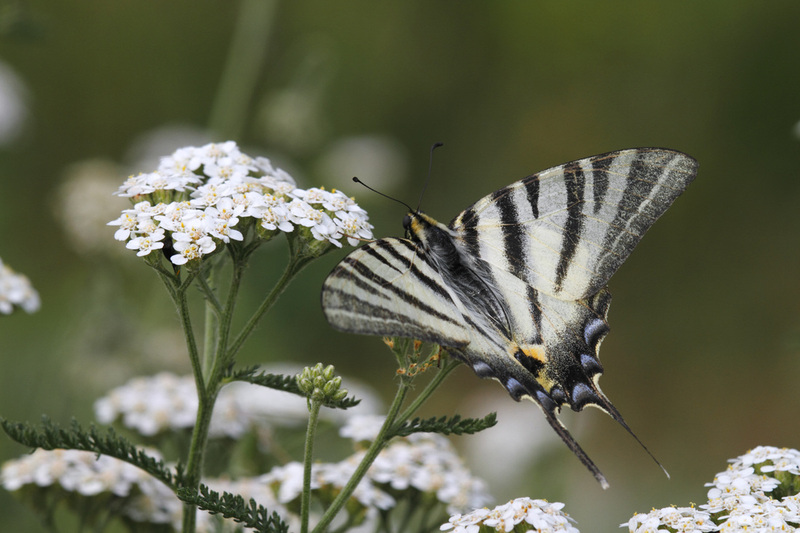 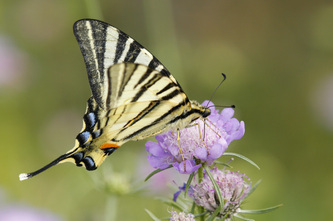 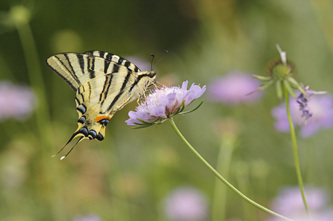 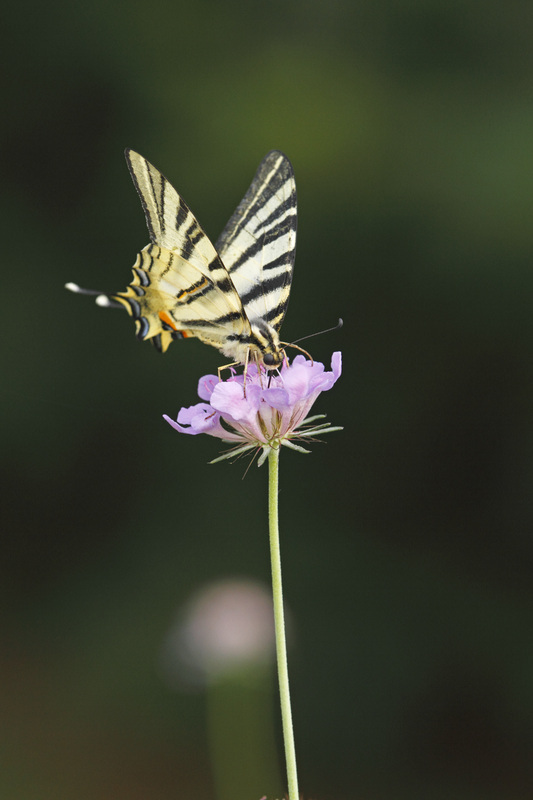 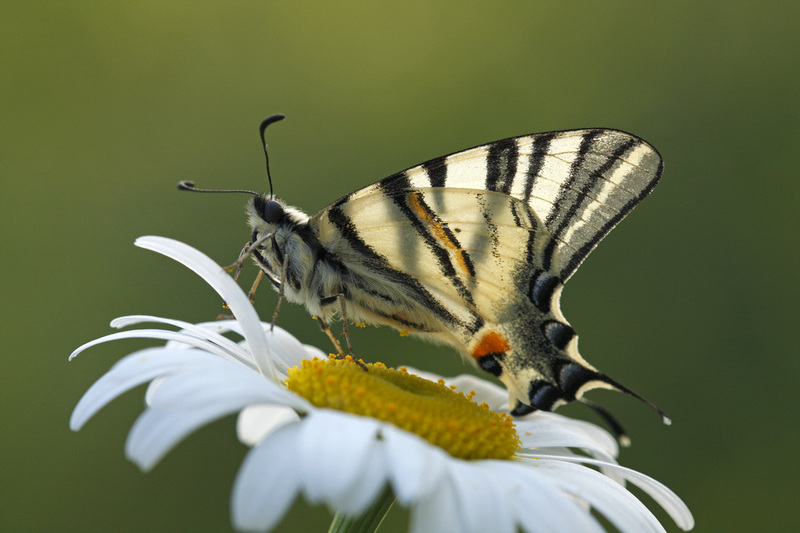 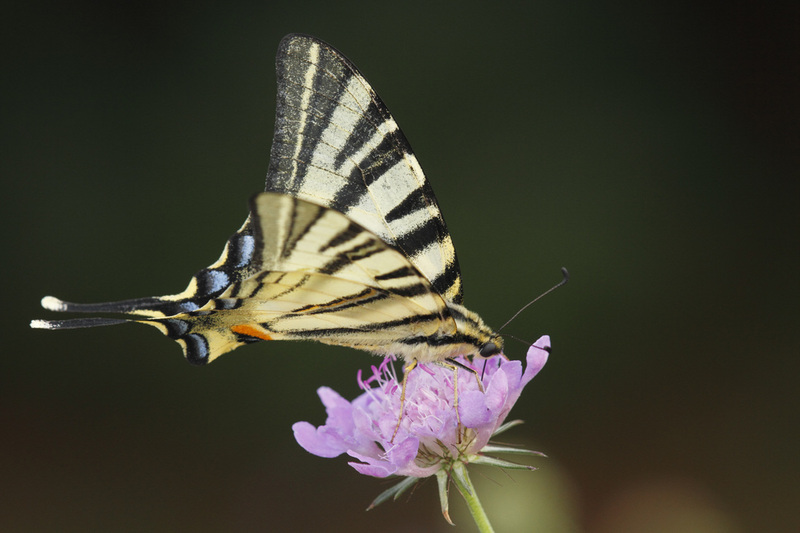 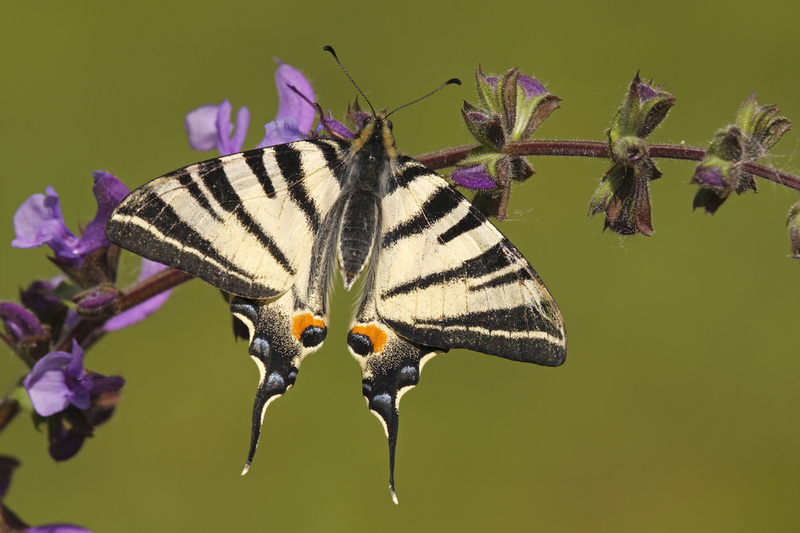 The tails are much longer than in the other European swallowtails. 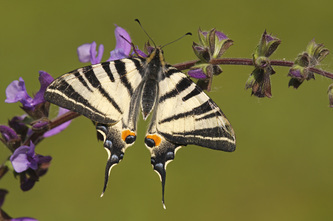 Flight from March to September in one or two broods. 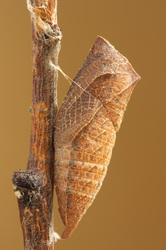 The caterpillars feed on Blackthorn and various other rosaceous trees and shrubs, including cultivated plums and cherries.